This, one imagines, is the conversation that took place in 1994, between Randal Ius and Gregor Robertson. The two shared a deep concern for the environment, a passion for food and a knack for sales. And Robertson owned an organic farm. 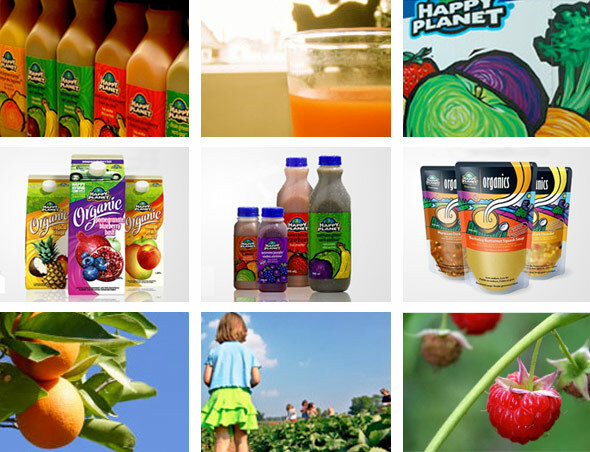 Happy Planet Foods was born; Ius and Robertson started selling carrot juice. ‘Sounds a little out there, but first-year sales hit $400,000. Today, Happy Planet is the fastest-growing company in BC, with 50% annual growth and 1999 sales of $3.5 million. It produces 18 beverages, introduces new flavours each year and is known as the innovator in the super-premium juice and smoothie category. Its products are sold at 550 locations, including Starbucks, Safeway and Save-On Foods, plus just about any store serving the ‘alternative’ market in Vancouver, Victoria, Whistler, Calgary, Edmonton, Toronto, Seattle and San Francisco. The organic food movement has grown steadily since the ‘60s, fueled by an ever-increasing horror of chemicals and a more health-conscious society. It used to be, though, that organic foods weren’t very appealing. And they commanded no respect. Happy Planet (HP) has changed that, at least in the beverage category. Most of HP’s products fall under the category of New Age beverages knows as ‘functionals’ or ‘nutraceuticals’, a segment which is growing faster than any food category in North America, and which accounted for $350 million in sales in the US last year. Functionals have something useful and/or beneficial added to them—minerals, vitamins, herbs etc. Happy Planet has five such beverages: Extreme Green (passion fruit, green micro-nutrients), Abundant C (strawberry, guava, Vitamin C), Spirulina Soul Food (pineapple, coconut, spirulina), Thinkgo (raspberry, mango, ginkgo biloba) and Dot.calm (papaya, pear, St. John’s Wort). It then has ‘Organics’, which are beverages certified to contain at least 95% organic ingredients, and which may or may not be functionals. In Happy Planet’s case, they are. There is Green One (mango, plum, green micro-nutrients), Essential Echinacea (guava, strawberry, Echinacea), Power Plant (banana, strawberry, soy protein). These are just general descriptions—if you look at the full ingredient list of Radical Response, it says Apple, Plum, Apricot, Guava, Banana, Grape Seed, BetaCarotine, Citrus Bioflavinoids, Milk Thistle, Chlorophyll, Zinc, Manganese and Selenium. Then there are the ‘Naturals’, which are strictly thirst-quenchers and include Lost Lagoon Mango, Sunset Beach Strawberry, Righteous Raspberry, Lemon Made and O Cranada. These are the lowest-priced Happy Planet products; organics are the highest-priced. What Happy Planet adds to its juice is closely regulated by the Canadian Food Inspection Agency and Health Canada, which set guidelines for what additives are allowable, and at what levels. (Americans are more lax—Odwalla adds far more vitamin C to its products than Health Canada would allow.) As we now know, too much of a good thing can be dangerous, so Happy Planet has to constantly consult with Health Canada, as well as herbalists and naturopaths, and it has a microbiologist on staff. For in-depth information, consumers can find product literature wherever HP juices are sold, and 10,000 people consult HP’s cheerfully uncomplicated web site (www.happyplanet.com) each month. 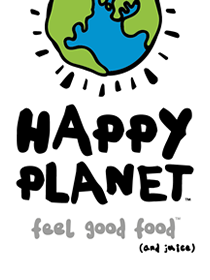 Happy Planet uses no concentrates, preservatives, additives or genetically-modified organisms. Two-thirds of ingredients come from Canadian farms and all ingredients come from sources known to use fair trade practices. The company claims to not use any paper from old-growth forests and says it gives 10% of its net profits to environmental and humanitarian causes. But staying with the organic thing proved to be harder than at first thought. “All-organic is not possible due to availability and price,” says Noroian. “Organic farming is much more expensive. Pesticides cost far less than natural controls and, where in conventional farming you pick a field twice, in organic you have to pick it four or five times. That means more labour and a substantial price differential—organic bananas cost twice as much as conventionally-grown bananas. If all of our products were 100% organic, they’d be out of the acceptable price range. Happy Planet’s production takes place in 13,000 square feet of space on Vancouver’s east side. Bottles are of high-density polyethylene (which is more environmentally-responsible than glass). All apples are BC-grown and processed in Vancouver; other fruits arrive in the form of purees from trusted sources in places like Fiji, Ecuador and Hawaii. As Noroian explains, the logistics can be nightmarish. Distribution is also a challenge. Because these juices have to be kept cold. The Starbucks approach to selling Happy Planet is even better—Starbucks keeps the bottles in ice-filled baskets beside the cash register. On the other hand, the freshness aspect has backfired. Some grocery stores stock it, not with beverages—where people looking for something to drink will go—but in the produce department, alongside the bags of salad. Noroian notes that the freshness aspect has also retarded expansion somewhat. “Our current focus is to expand our geographic reach, to where we’re well-established in the 15 main Canadian markets, and more established in California. But because our products have to be kept at a certain temperature and have to be rotated, we have to take a more hands-on approach to distribution. We have people in New York who want to carry our juice, but we aren’t there yet. Noroian says that HP’s placement in Starbucks two years ago was an important turning point. Happy Planet spends about $40,000 a year on advertising. But, believe it or not, the company has eliminated its marketing director position. Instead, it has taken the PR route. When he joined the company two years ago, HP’s former marketing director, Steve Everitt, found that his first order of business was to revamp the company’s visuals. Everitt joined Happy Planet just as Starbucks started carrying the HP line. This began a year of significant growth, when HP juices increasingly turned up in locations more concerned with branding and style. There was no direct competition; sales were increasing weekly. Then, in 1999, SoBe and Snapple’s ‘natural’ brand extensions appeared. Where Odwalla would spend between 4%-7% on marketing, Happy Planet allocates 1.8%-2.2% of gross revenue. Everitt stretched this budget by gang-printing vast quantities of p.o.p. materials (posters, brochures, shelf talkers, stickers). Product launches were creative and inexpensive—when O Cranada was launched, 150 media members received buckets filled with ice, cranberries, juice and the relevant literature. Dot.calm was launched with images on CD-Rom, literature printed to fit the CD case and juice packed in ice-filled Tupperware containers. The kits looked expensive, but cost only $5 each. That became particularly apparent when Happy Planet was confronted by a large adversary in the form of Coca Cola. For obvious reasons, Whistler is one of HP’s biggest markets. Every store carries it and HP sponsors many sporting events there. But last winter, Coca Cola had Happy Planet bounced off the mountain. “Coca Cola takes a very wide view when considering its competition,” says Everitt. “Some of its executives were up from Atlanta during the snowboard championships, they’d put a lot of money into Intrawest, they saw our fridges on the hill—next day, we were gone. Then they tried to have us removed from the University of British Columbia campus. The students found out, put pressure on the administration and we prevailed. “That’s one occasion where the philosophy of the company came into play. For the most part, people don’t care about a company. They care about the product. The only time the philosophy comes into play is when consumers are faced with competing products. If the taste and price are equal, they’ll look down the line for reasons to choose and they’ll choose the company that’s committed to positive things. Happy Planet has that in spades. It will hopefully be a long time before the corporate philosophy has to win out again. 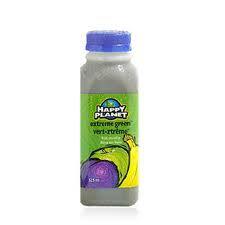 In the meantime, Happy Planet has to focus on the fact that it’s not selling a company or an idea, it’s selling juice. “We’d run into trouble trying to sell the fact that HP juice is the best in Canada and part of a healthy lifestyle—while also telling people about the company message of sustainability and commitment to the earth. That company message clouds the marketing message—the consumer wants to know that the product tastes good and is good and is worth the price. We had three or four totally unique types of users. Some were attracted by the health aspect, some by the organic aspect, some by the meal replacement aspect, some by the corporate ethic. It was always difficult to hammer home all the real benefits to everyone.